Chris is almost always the one who goes to Frankie for attention. He will wash him and sometimes annoy him enough to make him get up and leave. Actually watching Frankie return the favor and wash Chris is a rare treat. 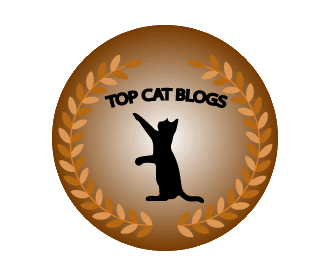 This entry was posted in Uncategorized and tagged bath, Cats, cute, ginger, gold, washing on December 7, 2018 by Charles Huss. Forget Cat Daddy. Chris is Daddy Cat. I don’t have any experience with real daddy cats but Chris is like a humanized version of what a good cat father would be. Someone who loves his kids and shows it often while also disciplining them when they break the rules. His rules. Of course, Chris has never had kittens of his own but when we adopted Puck he seemed to take over the role of father figure. He loved Puck and Puck followed his rules like a good son and was often rewarded with love, affection, and a good tongue bath. I think Puck’s death really hurt Chris. For several days he seemed to wander aimlessly like he was looking for Puck and didn’t know what to do with himself. Fortunately, Floki was here to fill the gap. We adopted Floki as a kitten, just like Puck, and Chris was right there to teach him the rules. His rules. Unfortunately for Chris, Floki was a bit of a problem Child and didn’t always follow the rules. Nevertheless, Chris still treated Floki like his son and a surprising thing happened recently. Floki started going to Chris for attention. This was an amazing development because Chris was always the one who sought out the other cats. It is a pleasure to see the bond that has developed between the two, especially when Floki comes to Chris and puts his head down so Chris can wash it. Chris can also control Floki. This is something that Rose and I can’t do together. We have to bring him to the vet for nail trimmings because trying to hold him down for the task only leads to scratched arms and a cat under the bed. Chris, however, has no trouble holding Floki down. If only I could train Chris to do it at nail trimming time. I sometimes think it was too bad that Chris was fixed when he was because he may have had some over-the-top kittens. especially if he could have hooked up with my sister-in-law’s cat, Holly. Update: I forgot to mention Chris was washing Floki early this morning when Floki got up and bit Chris in the ear. Chris responded by putting his right paw on Floki’s head and pushing him down. He then resumed washing him while he held his head down. This entry was posted in Uncategorized and tagged affecti, cat, cat daddy, cute, daddy cat, father, washing on August 7, 2018 by Charles Huss. It seems that almost every time I see Chris washing another cat, it ends in a fight. That is especially true when he washes Floki. I don’t understand how such a nice thing goes bad so often. This entry was posted in Uncategorized and tagged Cats, cute, fight, funny, washing on May 2, 2017 by Charles Huss. Okay Puck, you’re clean. NEXT! 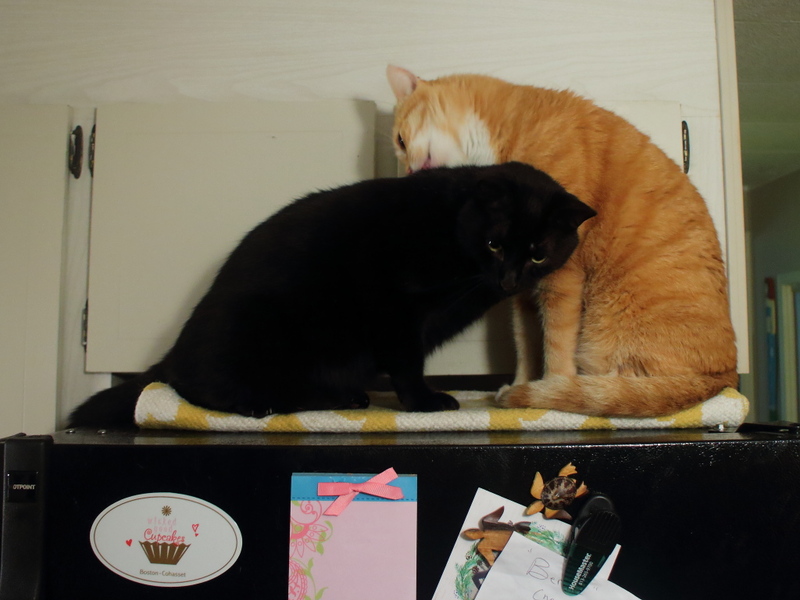 This entry was posted in Uncategorized and tagged Cats, cute, licking, washing on March 10, 2017 by Charles Huss. 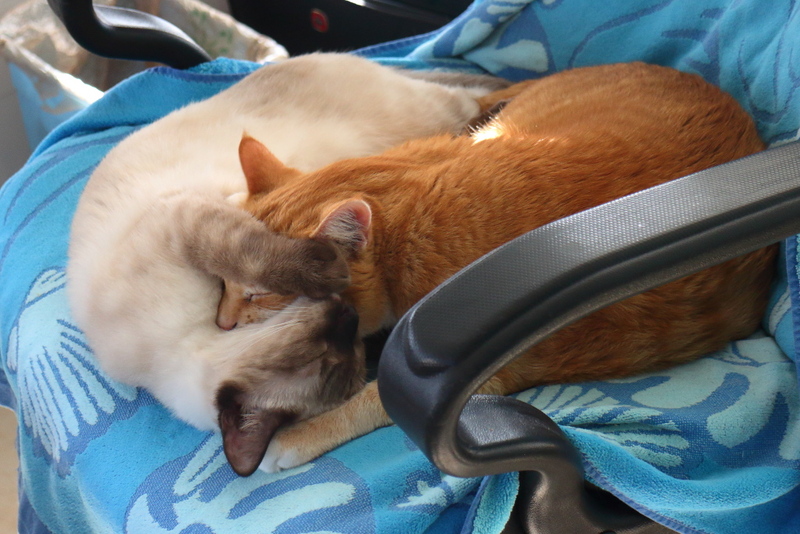 This picture looks like two cats sleeping together but it is actually Chris giving Floki a good washing. This entry was posted in Uncategorized and tagged bath, Cats, cute, washing on January 6, 2017 by Charles Huss. Even though Chris is a bad cat, he has many good qualities. His affection towards others is a notable one. In the video below, he demonstrates that by thoroughly washing his brother Puck. Don’t you just love it when your cats get along? This entry was posted in Uncategorized and tagged Cats, cute, washing on February 17, 2016 by Charles Huss. In our house, when one cat washes another cat, we say he is getting a detailing. Rose left for a business trip to San Diego on Monday and Chris and Puck settled in on her suitcase, perhaps thinking she would take them with. 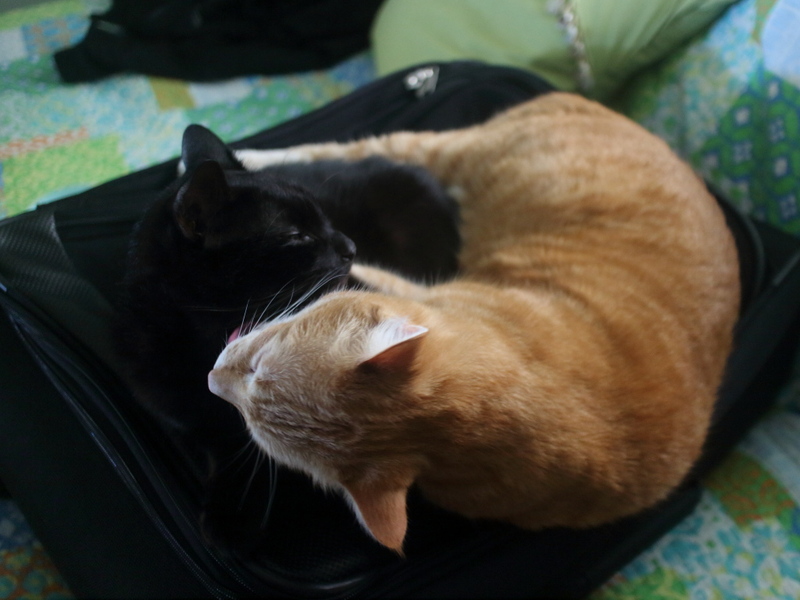 This entry was posted in Uncategorized and tagged Cats, cute, licking, suitcase, washing on January 22, 2016 by Charles Huss.